RP-HT225 Monitor Headphones from Panasonic with smooth, bass-rich sound and practical features. With its wide headband offers great comfort. The large foam ear pads fit round the ears and are extremely hard wearing. RP-HT225 features XBS, single-side monitoring and an in-cord volume control with convenient cord length. The RP-HT225 Monitor Headphones offer great sound quality, are adjustable and extremely confortable and durable. RP-HT225 Monitor Headphones from Panasonic with smooth, bass-rich sound and practical features. With its wide headband offers great comfort. The large foam ear pads fit round the ears and are extremely hard wearing. RP-HT225 features XBS, single-side monitoring and an in-cord volume control with convenient cord length. 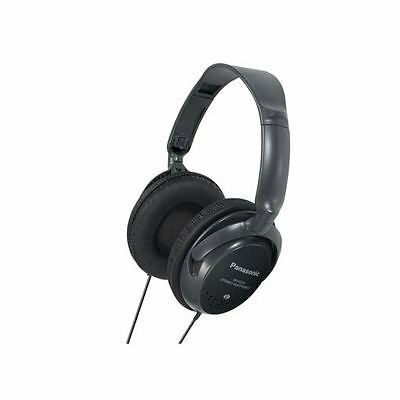 The RP-HT225 Monitor Headphones offer great sound quality, are adjustable and extremely confortable and durable.RP-HT225 Monitor Headphones from Panasonic with smooth, bass-rich sound and practical features. With its wide headband offers great comfort. The large foam ear pads fit round the ears and are extremely hard wearing. RP-HT225 features XBS, single-side monitoring and an in-cord volume control with convenient cord length. 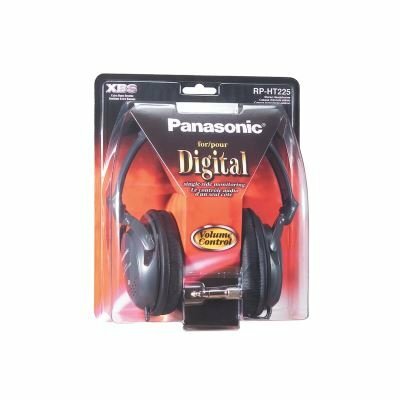 The RP-HT225 Monitor Headphones offer great sound quality, are adjustable and extremely confortable and durable.RP-HT225 Monitor Headphones from Panasonic with smooth, bass-rich sound and practical features. With its wide headband offers great comfort. The large foam ear pads fit round the ears and are extremely hard wearing. RP-HT225 features XBS, single-side monitoring and an in-cord volume control with convenient cord length. The RP-HT225 Monitor Headphones offer great sound quality, are adjustable and extremely confortable and durable. 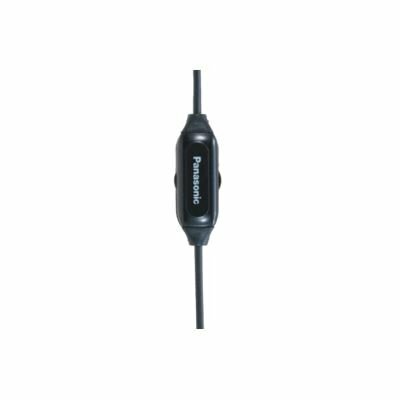 Panasonic RP-HT225 offers great sound quality at an unbeatable price. Enjoy the smooth, bass-rich sound of these monitor headphones. With its wide headband and large foam ear pads RP-HT225 features XBS, single-side monitoring and an in-cord volume control. The 3m cord is suitable for outdoor use, giving you freedom to move around when enjoying your music. These monitor headphones combine modern design with a clear and powerful sound in headphones that are guaranteed to deliver a top performance.